After years of sorting through data from the legendary Cassini mission, researchers from Cornell University have finally created a full map of the surface of Saturn’s largest moon, Titan. Researchers have used the new topographical map to discover something about the moon that makes it more Earth-like than we could have ever imagined: Titan has a global sea level. Ever since Cassini gave us our first up-close look at the moon, scientists have used images from Cassini to explore its similarities to Earth. Previously, researchers had confirmed the presence of hydrocarbon oceans on the moon’s surface, but according to the new analysis, these oceans have a common equipotential surface (or sea level) — just as oceans do on Earth. Both studies have been published in the journal Geophysical Research Letters. 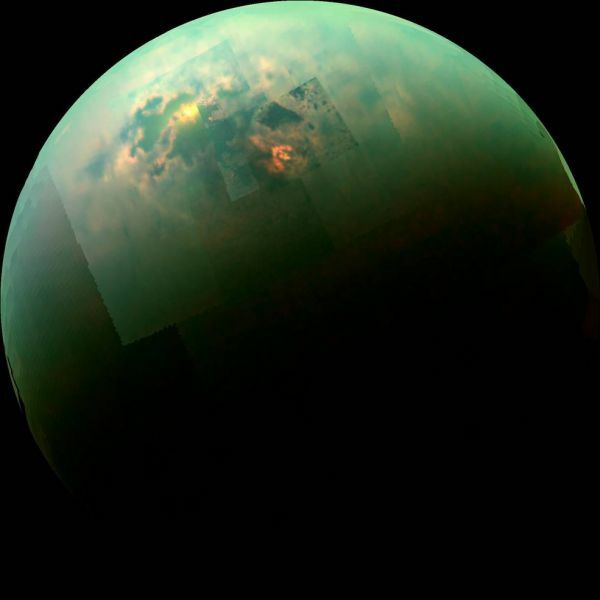 Additionally, Hayes believes it’s possible that the hydrocarbon lakes on Titan are flowing and communicating with one another on the subsurface level — which would suggest that there could be even more liquid hydrocarbon on Titan than previously thought. Titan is not the only moon in the Solar System with Earth-like qualities. Observations of Europa, an icy moon of Jupiter, have led some to believe it could potentially hold extraterrestrial life. NASA is even planning to send a lander to Europa to further explore the potential for the moon to support organic life; an effort supported by the ESA. The two space agencies will partner up with the goal of launching the mission in the mid-2020’s. Even with the most recent discovery made about Titan, many still favor Europa in the search for extraterrestrial life. Europa’s oceans have a chemical makeup similar to oceans on Earth, but Titan is the only place in the Solar System (that we know of) other than Earth that has a dense atmosphere, a stable liquid on the surface — and now — a global sea level. These findings could certainly make a mission Titan more attractive, and while the discovery of a global sea level is incredible, it may only be the tip of the iceberg. We won’t know for sure what awaits discovery on Saturn’s largest moon until we get there.